“Stay where you belong: in my memories…”. 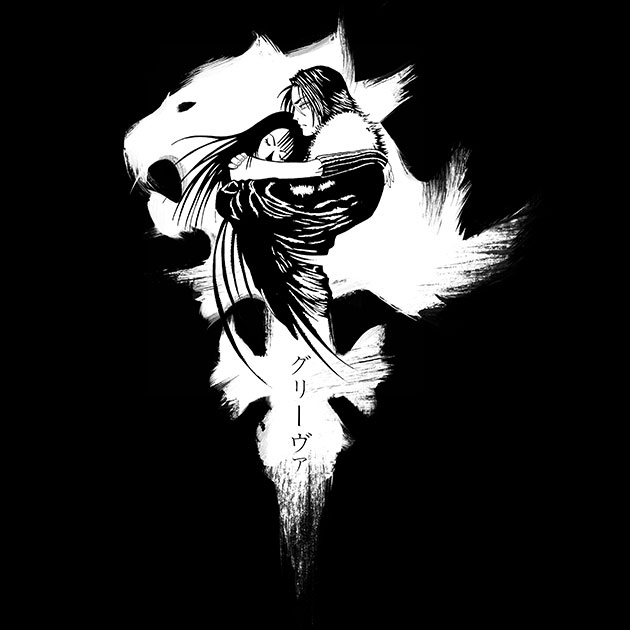 So many details in this Final Fantasy VII design! 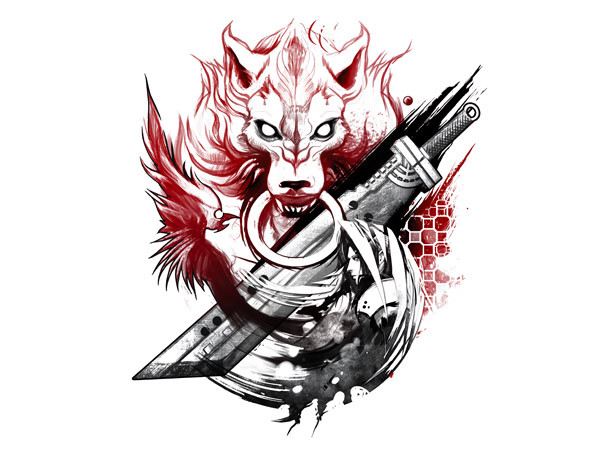 The wolf’s head in the background, Sephiroth’s swirling figure hints at a spinning tire from Fenrir (Cloud’s motorcycle), and slicing between them is Cloud’s buster sword. This design has a wonderful composition with well-balanced figures. The long outward circular stokes give the design movement. Utinni! A delightfully playful mash-up of the quirky grocer and everyone’s favorite space scavengers, the Jawas. 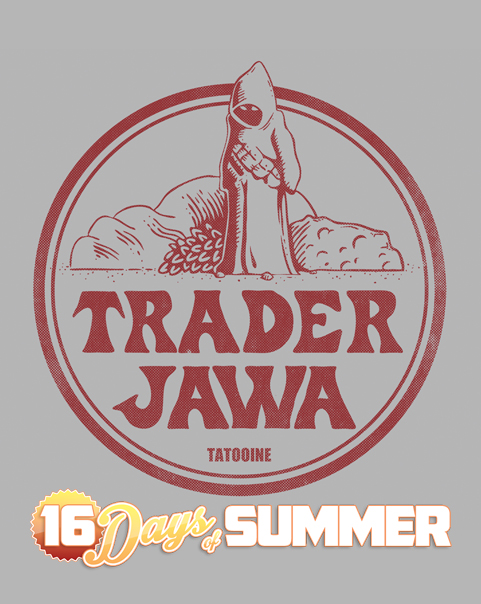 The design has an interesting texture, appearing to be printed on burlap which visually conveys the Jawas’ garments or a burlap sack which typically contains gourmet food. The quality of the descriptive line drawing and font appear very similar to the Trader Joes‘ logo. A beautiful rendering of Final Fantasy VIII’s protagonists and lovers, Squall and Rinoa. I enjoy the organic, dry brush stokes that makes this simple black and white design seem complex. Wonderfully romantic pose with the embrace and upward swiping motion. This top-heavy composition is nicely balanced by the negative space figures in the center. 04/20/2014 Easter Eggs – Shirt Design Awards 3/9/14 – 4/19/14!